This is not really a new story, but it feels fitting to start of a Monday, beginning of a week, a month and the summer. Mehdi Ghadyanloo has been decorating Tehran's high-rises and office buildings for eight years now, and reportedly painted over one hundred walls! His surrealist dream-like scenes beautifully complements the minimalistic architectural spaces that are often left blank and grey. This does not make Tehran for a beautiful city, but certainly a great environment for mural work. 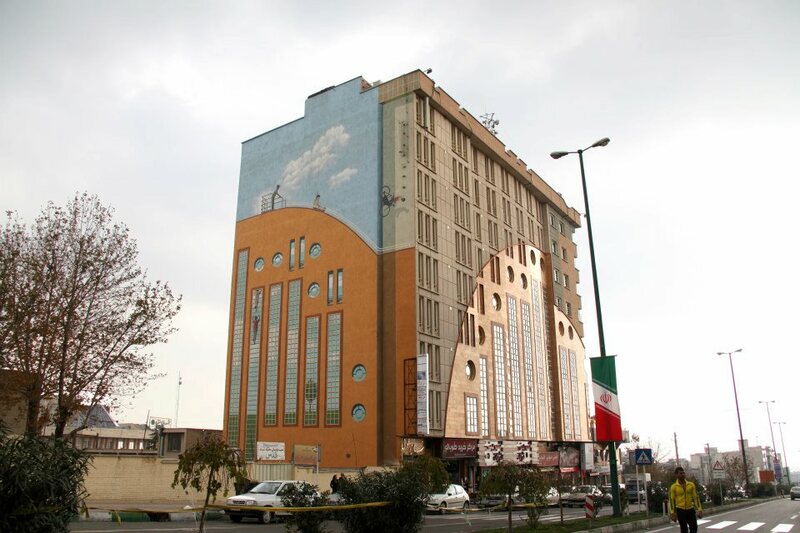 Apparently some eight years ago the municipality set up a committee to help promote mural art in Tehran, financing artists like Ghadyanloo to decorate facades of buildings. Here enjoy some examples of his work!